Our 2015 bred heifers are on their way to their new home at Ferme Dalmas in St-Augustin. Thank you to M. Cyril St. Pierre, a repeat customer from Quebec for their support of our breeding program. These Full Fleckvieh heifers were a quality group it was hard to part with. 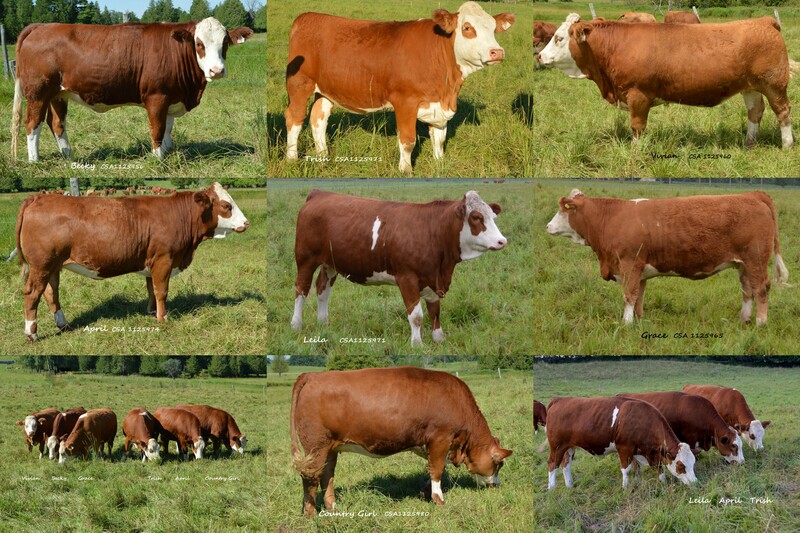 Sired by Equinox, Platinum, Dr Duke and Viper, all but 1 were polled and all were bred A.I. to calving ease bulls. We wish Ferme Dalmas all the best with these excellent young females.